In December 2018, the Civil Justice Council (CJC) endorsed a report from a Working Group chaired by William Wood QC on how the use of ADR might be further encouraged. The report concludes that it does not currently think that the use of ADR should be made compulsory – a conclusion that some will find disappointing. But the Working Party argues that there is still work to be done to prepare the ground for the possible introduction of compulsion at some future date. The encouragement of ADR by the Government and Courts. These are very similar to the issues which the ADR Sub-Committee of the CJC (which I used to chair) identified over 10 years ago. Citizens must be aware that when civil disputes arise there are alternatives to the present choice of capitulation or litigation. Citizens must be aware that those alternatives include approaches involving neutral third parties to assist settlement. Those neutrals must be available in a practical and affordable form and operate in accordance with transparent standards of practice such that there is confidence in their training, their competence and their integrity. Far from being a sign of weakness the use of and the offer of the use of such techniques is wise, culturally normal and indeed would be expected by the Court. Initiatives such as peer mediation in schools and colleges and the annual Mediation Awareness Week should be applauded. There must be a more complete embrace of ADR in law faculties and professional training and disciplinary codes. There should be greater coordination between the different ADR areas, including restorative, family, civil, workplace and community, to provide a single “voice of mediation”. A new website (perhaps to be called “Alternatives”) should be created as a central online hub for information about ADR to include videos of the different types of ADR techniques being demonstrated;. The ADR community must continue to push, as we know it has tried to do for many years, for references to ADR into the broadcast media and into social media. There is a need to ensure the availability of judges for Judicial Early Neutral Evaluation particularly at the fast track level. (We encourage the Financial Dispute Resolution approach – used in family disputes – in low value cases). The small claims mediation scheme should be fully resourced so that it can fulfil its potential. The Civil Mediation Council should consider the accreditation of cheaper more proportionate forms of mediation such as 3 hour telephone mediations. The CMC should look carefully at emulating the regulatory approach of the Family Mediation Council. The role of the case officer under the online court system is crucial as is the importance of appropriate recruitment and training. Steps should be taken to promote standards for Online Dispute Resolution as a necessary step towards its further promotion and acceptance. The Rules and the case law have to date been too generous to those who ignore ADR and in our unanimous view under‐estimate the potential benefits of ADR. The present ethos is most clearly embodied in the Halsey guidelines but its approach is embedded in the rules and the court machinery as a whole. These require review. Court documents, protocols, guidance material for litigants and case management should all express a presumption that ADR should be attempted at an appropriate stage on the route through to trial. The terms of the claim document (potentially also the Defence document) should include a requirement to certify attempts to contact the other party and achieve settlement. There should be earlier and more stringent encouragement of ADR in case management: there should be a perception that formal ADR must be attempted before a trial can be made available; we should explore the possibility of applying sanctions for unreasonable conduct that make sense at the interim stage. The Working Party also states that it has been keen to identify an acceptable mechanism under which a mediation could be triggered without the intervention of the Court. It thinks the British Columbia Notice to Mediate procedure is the most promising option for a first step in this direction. Where these proposals will go next are very hard to say. It would be good to see the development of the proposed website. This might be achieveable pretty quickly and at modest cost. It seems to me that the highly critical references to the Halsey decision – which have been a real drag on positive developments in practice – amount to a clear invitation for the issue to be revisited in the courts, assuming that a suitable case can be found. When I chaired the ADR sub-Committee, a specific issue was what was the attitude of the judiciary to ADR, and whether or not it was right for them to participate in, for example, Early Neutral Evaluation. This is likely to need further work and training for judges to gain the confidence and experience to undertake this work. 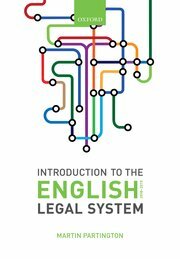 The calls for public legal education sound fine – but can they be made effective without funding? Notwithstanding these reservations, ADR remains an issue which remains important in the developement of civil justice practice and procedure.